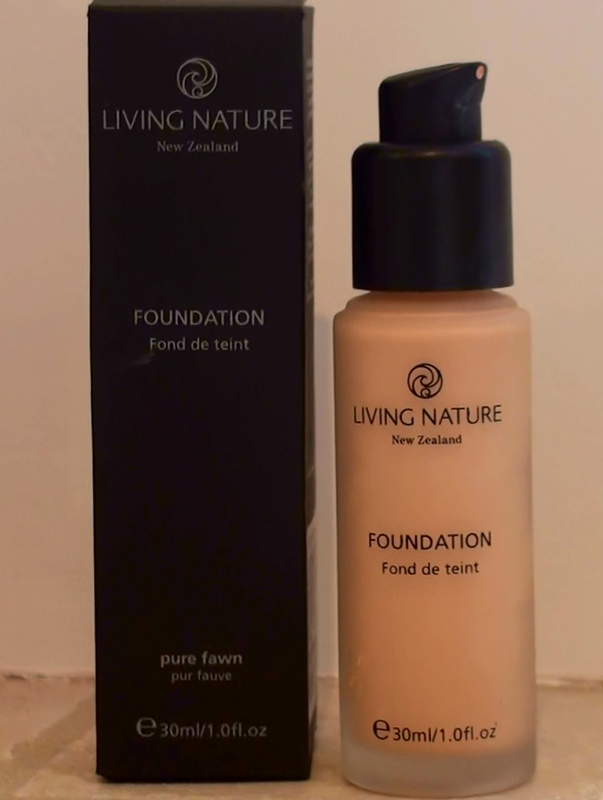 I’ve tested Living Nature’s Foundation. Living Nature is a brand I adore, due to their clean, green and healthy ethos. When it comes to foundation I’m a bit cautious though, I’m not one of those people with great skin and it probably also has something to do with having acne as a teenager. Packaging is practical and looks nice it comes in a glass bottle (extra points) and with a pump making it easy to get the product out, but Chanel’s bottle will of course always win on glam points. As I used it for the first time I was a bit taken aback by the intense colour (Pure Fawn), I thought it would be way to dark, but when I worked it into my skin it was actually a perfect match. It was really easy to apply, it blends in perfectly, but you have to work quite fast as the product sets quicker than Vitalumiere. To my surprise the coverage is almost identical to Vitalumiere. For several days I used Vitalumiere on one side of my face and Living Nature on the other, and I asked several people which side looked the best. Chanel’s foundation has a bit more shine to it so the skin looks more plump but on the other hand Living Nature’s foundation made my pores look smaller and more natural. After a few hours Vitalumiere sort of sets and if you touch your skin it will almost feel like you have powder on, Living Nature’s foundation feels dewy without looking shiny. Where Living Nature’s Foundation wins hands down is when you start reading the ingredient lists, I couldn’t find anything harmful here, but that’s not exactly the case with Vitalumere Aqua. Some studies show that we absorb up to 70% of what is put on our skin and with that in mind I will use Living Nature’s foundation as an everyday foundation and maybe Vitalumiere on evenings out. Do they do pressed powder as well? I prefer that in the winter. And – where do you buy it?